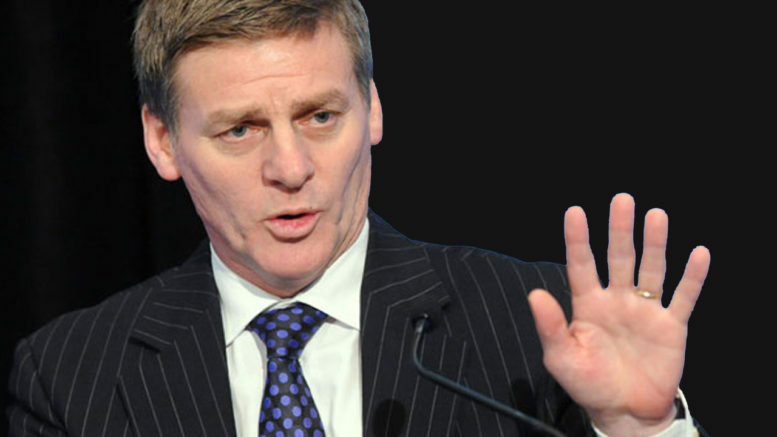 In the last days of 2016, an open letter was sent to Prime Minister Bill English, signed by 28 organisations and 858 Jewish and non-Jewish Kiwis, condemning New Zealand’s decision to co-sponsor and vote for the biased anti-Israel United Nations Security Council resolution 2334. The same letter also attracted over 2,500 online signatures. I am writing on behalf of the Prime Minister, Rt Hon Bill English, to acknowledge your email of 29 December 2016 concerning your letter from 28 representative Jewish and non-Jewish organisations with over 800 supporting individual signatures on the UNSC resolution on Israel. Please be assured your comments have been noted. We are forwarding a copy of your correspondence to the Minister of Foreign Affairs, Hon Murray McCully, for his consideration. Minister McCully’s position is unlikely to change. He has already doubled-down defending his actions at the Security Council. His justification was printed as an opinion piece in the NZ Herald on 13 January 2017, but failed to answer many of the questions raised in the 29 December 2016 letter. In fact, his opinion piece raised further questions, particularly regarding an admission that “the United States would not accept any resolution on this topic until after US presidential elections in November .” The fact that it was deemed necessary to undertake action during Barack Obama’s “lame duck” period shows how controversial the resolution was and how his Administration knew it would lose it Democratic support. This proved to be true as, subsequent to the vote in the United Nations Security Council, the US House of Representatives, in a show of bipartisan unity, voted overwhelmingly against the resolution. This appears to directly contradict the statement of his boss, Minister McCully. While New Zealand has, arguably, had a history of anti-Israel bias, Shalom.Kiwi has highlighted that the singular focus on Israeli settlements and the refusal to mention Palestinian terrorism is a relatively new approach. There is so far little indication that McCully has taken the concerns over his actions at the Security Council seriously. Prime Minister English then said that “New Zealand has been a long time friend of Israel”. The historical evidence for this statement is not compelling. Certainly, co-sponsoring a one-sided resolution, along with undemocratic states Malaysia, Senegal and Venezuela, two of which have no diplomatic relations with Israel, is a strange way to show friendship. The fact remains that Israel is a tiny democracy in the Middle East, which, unlike any of its neighbours, shares liberal values with New Zealand. The government’s response so far, to all those New Zealanders who have written letters to MPs, signed petitions, marched on Parliament and written to newspapers has been wholly inadequate. Israel’s genuine friends want to hear from the government as to how and why New Zealand co-sponsored an unbalanced, one-sided resolution that went well beyond any signalled New Zealand policy or position and undermines the peace process. At the same time, it would be good to understand how the government plans to repair its relationship with Israel. It’s not enough for the Prime Minister to simply wish for a “positive relationship with Israel with the potential for further positive development of it.” Active steps need to be taken.